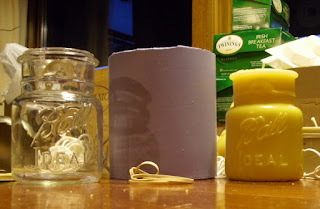 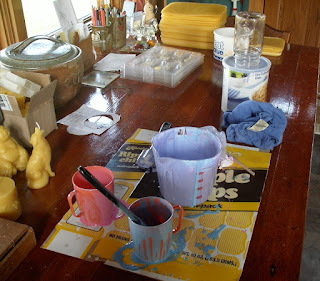 Tuesday morning: Making my first candle mold. the mold I made of it, and the candle it made. 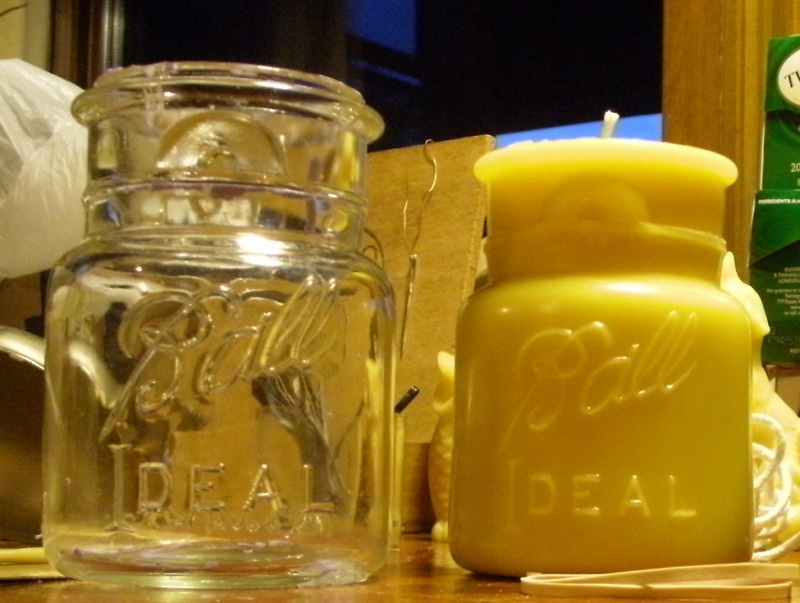 Still Thursday morning: The original jar and the candle.